Theistic evolutionism is the belief in both the theory of evolution and God (a combination of evolutionism and theism). It is held that the book of Genesis is a non-literal story written simply to teach that man is fallen, and not meant to describe the specific circumstances regarding the origins of the universe. Theistic evolutionists fully accept that evolution is the scientific description of how organisms change over time and the result of descent with modification. At the same time, the theistic evolutionist is a theist - who believes in a God who is both personal and concerned with His creation. Theistic evolutionists could thus belong to any of the three main monotheistic faiths, or to any other theistic faith. 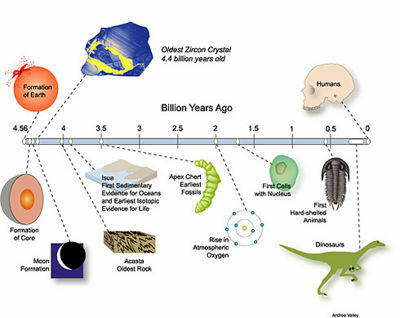 There are a variety of opinions amongst theistic evolutionists regarding the extent to which God has been involved with the development of life on Earth. Some, such as Michael Behe, do not believe that abiogenesis can occur without the intervention of God. Others, such as Dr. Howard Van Till, believe that God created the universe in such a way that what He desires will occur through natural processes, and that abiogenesis will probably be fully understood by science one day. The outworking of God's creative process and natural laws are much the same thing. With regard to Adam, there are also different views that Christian Theistic Evolutionists hold. The historical ancestor perspective teaches that Adam and Eve were literal ancestors of humans, who literally sinned. They evolved as all other life did according to Darwinism, but were given a spirit when God selected them out from all other creatures. Another view holds that Adam & Eve were not literal ancestors but instead an allegorical example that represent the nature of us all. A main point of contention between young and old earth creationism is in regard to whether the term Yom refers to a 24 hour period of time. This term is the one used for 'Day' in Genesis 1, and much debate about how this narrative should be viewed revolves around this issue. First, if Yom means a literal 24 hours it makes not the slightest bit of difference to the narrative. The days may well be literal within the mythology of the narrative. It is the narrative that is figurative, not the elements within it. Secondly, it doesn't actually make the narrative any more scientifically credible to say the days are millions of years long. The order is not in accordance with the fossil record; for example there were flying things long before there were fishes. Critics of theistic evolution often claim that if one reads the Creation accounts in Genesis without any 'evolutionist presupposition', then the narratives clearly read as historical accounts. It is said that only after Darwin did people start interpreting the passages as anything else. Theistic evolutionists point out the contradiction between Genesis 2 and the Creation story in Genesis 1, which says man was made last. The motivation for the making of the animals in verse 18 is to make a suitable companion for the Man He has made. The clear reading of the second Creation story is that God makes the earth, then Man, then the animals to be his companions, then finally the Woman because none of the animals are suitable. This sequence of events contradicts the first Six Day story. Theistic evolutionists believe that when the book of Genesis was put together, the compiler had a number of sources, and at least two Creation stories. Since the contradiction was not of concern, it would seem clear that the truth being communicated was not the simple factual description of how the universe came into being. If both accounts are true, then they are not true in a literal sense. Theistic evolutionists interpret the Genesis stories as mythological. They argue that facets like God walking through the Garden of Eden in visible form (despite Scriptural insistence that no-one has ever seen God), lends strong evidence in favor of a mythological status of the stories. In addition, there is a talking snake, trees bearing symbolic fruit, and an ancient reworked 'Just So' story about How the Snake Lost its Legs. And lastly the poetic structure in Genesis 1, where what is made on the first three days is populated on the second three. These are all viewed as possessing the characteristics typically found in mythology. The primary challenge to theistic evolution is the genealogical record and the point at which exegesis becomes historical-grammatical or simply a plain reading of scripture. Many theistic evolutionists believe that Adam was not a real man, yet the Bible clearly treats him as such within the books of Genesis and Chronicles which contain the ancestral record from Adam to Noah. The book of Luke repeats this genealogy from Adam to Jesus. Likewise, Christ speaks of Adam, Noah, Abraham, Lot, the Flood, "one flesh" as though real people and events, and for His doctrine He references the book of Genesis more than all other books of the Bible combined. The ministry of Christ toward the religious leaders of His time was characterized by remediation and correction. He showed extraordinary conviction and fearless resolve when discussing the most challenging and controversial doctrines of the Bible. And yet, Christ is completely silent in correcting them on any aspect of the 6-day creation. The religious leaders and Christ were clearly in agreement on the 6-day creation, with nothing further to discuss. Those who criticize theistic evolution frequently argue that Genesis is so inextricably intertwined with Judaeo-Christian-Islamic theism as to be inseparable. While the first chapter of Genesis may be interpreted as allegory; the creationism theme runs throughout the rest of Genesis and into the New Testament. The biblical genealogy of Genesis 5 is not allegorical as some proponents of theistic evolution put forth. The allegorical intent of the specific years and dates given for those people, the year at which they had the next son in their line, and the year they died all imply real people born into this world by other real people. Likewise the Table of Nations and the references to Noah by Jesus and Peter in the New Testament are ways to determine the historical realness of such events and people. The theologically-accepted and historically consistent view of the construction of Genesis as a compiled work which Moses assembled and edited from physical artifacts, is evidenced in the beginning of Genesis Chapter 5 where the "book of the generations of Adam" is delineated. Moses would have no reason to use the word "book" if he didn't have physical artifacts in-hand. The book of Genesis is divided into multiple diaries, each closed with a "signature" of the prior patriarch. This of course means that the first and second diaries deliver God and Adam's respective viewpoints on the creation but are complimentary not "contradictory". As such, if we read Adam's rendition as though from someone about to offer context for the things he is about to relate, this is no different than someone "trying to catch the reader up" to the current time frame of his existence. For example, that God had made all the animals for Adam to name them, is simply Adam offering context for when God commanded him to give them all names. It does not suggest that God went off to make the animals in order to present them to Adam. Otherwise Genesis 2:5 and Genesis 2:9, describing God's making of plants, are out of sequence also. Adam is simply rendering an account that when he was formed, God placed him in the Garden (which by the way he had already constructed) etc. The assertion that these accounts are separate-and-contradictory is simply a strawman. Francis Collins, a leading proponent of theistic evolution, claims that there are six premises of evolution, the fifth of which is that mankind is descendant from great apes. If this is true, then Jesus Christ himself is a descendant from great apes. In fact, the doctrines such as found in John 3:16 would have to be violently redefined, in that God so loved a world of great apes who became men, that he sent his only son, another of the great apes, that whosever of the evolved great apes believed in him etc. Doesn't this have implications for the salvation of lesser great apes? We see how completely ridiculous this renders the Scripture. Collins also claims  that the mechanics of cloning essentially sidesteps the ethical questions of using an embryo formed from a sperm-and-egg combination (God's design to make humans) and provides for an artificial means to make an embryo that can be harvested for its parts. Essentially Collins is suggesting that the "intent" of the biochemist (in not wanting to make a human) supercedes God's "intent" that DNA is what defines a human. The bringing together the DNA in a biochemical manner removes it from the moral or ethical questions. bHowever, God expressed his "intent" with Mary by providing the biochemical equivalent of male gametes (e.g. male DNA) in order to bring about a virgin birth. Are we to apply this same logic that the embryo growing inside Mary had no more moral value than combining DNA for cloning? Gods original construction of Adam used no gametes at all, but was a purely contrived exercise in biochemical engineering. Was this also devoid of morality? It is held that the importance of Genesis is in the message that man is fallen, not the historicity of the vehicle. In essence, theistic evolutions hold that a non-literalist position is tenable, and is not merely the product of syncretism with evolutionary science, but rather is in agreement with the understanding of the importance of Genesis that has informed the church from the beginning. This page was last modified on 4 August 2016, at 12:31.